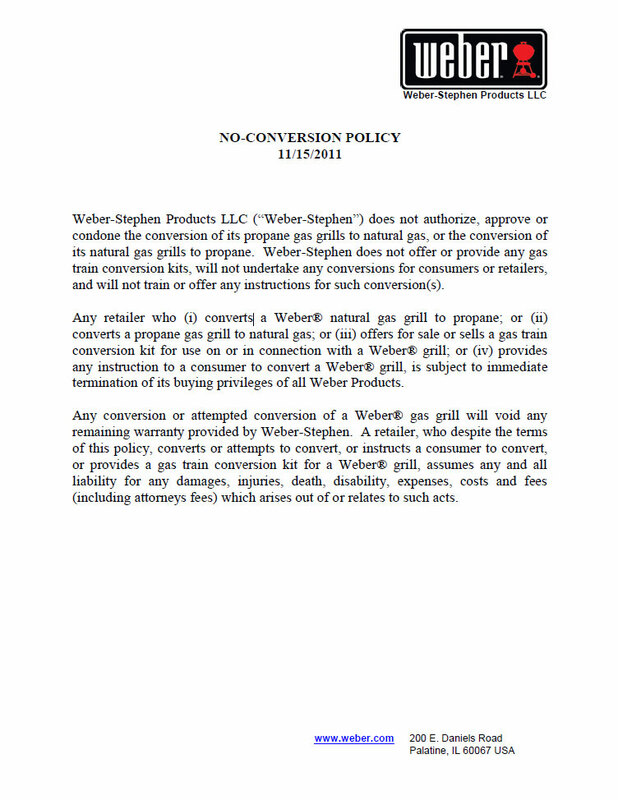 At some point in the past few years, Weber stopped offering parts to convert gas grills from propane to NG or NG to propane. We can only assume that this decision was made for liability reasons. But here’s an interesting little diddy, found while doing a Google search. It’s a memo from Weber to dealers about the no-conversion policy. If your Weber dealer has no idea what you’re talking about when you ask for gas conversion parts, now you know why.